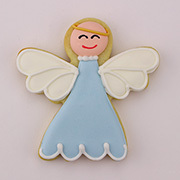 Whether it's on the tree or in your kitchen, the Angel Cookie Cutter will be a delight for all ages. 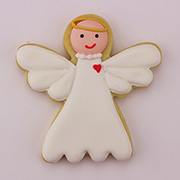 Give some cookie cutters to an Angel in your life, or put it on your Christmas tree. I received my order super fast! 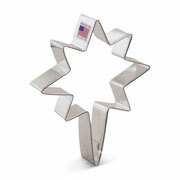 The cookie cutters are perfect. Just what I was looking for, exactly like the ones I used with my grandmother as a kid! These will last a lifetime I am sure. I have no doubt I they will still be around for my grandkids. Thank you for a quality product at a great price Ann Clark! Great product; super fast delivery! I ordered a bunch of these cookie cutters because I lost all of my old collection in a house fire. Love these! Just what I hoped they would be. Quality product. 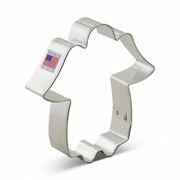 Great cookie cutters and the shipping was fast! Thank you so much. Better quality than expected and great simple design like I needed for my project. This is the prefect size & shape for Decorating. 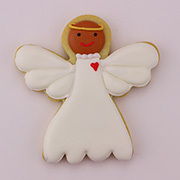 Love the details on the Angel. 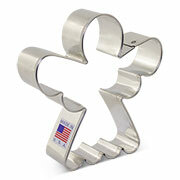 I love the cookie cutters. The unique shapes, quality, and price were amazing. 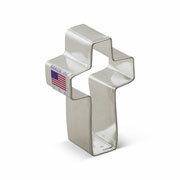 Absolutely love them and they are made in the USA. These are great. Anyone who makes cookies should get the complete set. A gift for my daughter out of state.